The best school of dancing in Yaroslavl, Russia, which has long working experience since 1997, traditions and results achieved. All basic and well-known dance styles are presented among school's dance classes. Trainers of the Academy of Free Dance are looking for new styles and trends in contemporary choreography carefully. You could be sure that if a new style occurred on Academy's schedule or training programme changed, the same changes is happening all around the world. The Academy is up-to-date with fashion and world standards of contemporary choreography, that allows it to stay on top through several years. Director of the “Academy of Free Dance”. 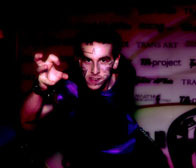 Dance company "TA-Project" was created as a club division of "Trans Art". The repertoire includes performances in different styles, e.g. hip-hop, ragga-style, break-dance and others, and some performances came from big stage, such as jazz modern, tango, contemporary dance. We guarantee you the end result by professional dancers involved in our performances. In our Go-Go school we 're preparing dancers-actors, who take the stage are act the dance, who're dancing by whatever music and creating positive emotions. In fact, every art-director is expecting the very thing form dancers, and moreover people are visiting clubs to get that thing. We offer the best Go-Go dancers which correspond with your requirements. You be sure in the end result with us. Танцевальный конкурс "Go-Go ladies go!" Впервые в рамках Шоу "Автоэкзотика-Ярославия" (7-9 августа 2009 года) и впервые в Ярославле состоится танцевальный конкурс "Go-Go ladies go!". Юбилейный концерт детского танцевального коллектива "Транс Артик"
Приглашаем вас посетить юбилейный концерт детского танцевального коллектива "Транс Артик". Концерт пройдёт 1-го июня в 19:00 в ДК Нефтяников.